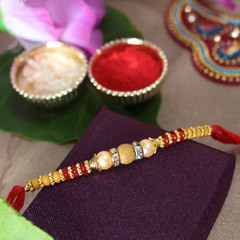 You have reached the section where you will find the best handcrafted rakhis online to gift to your brother. 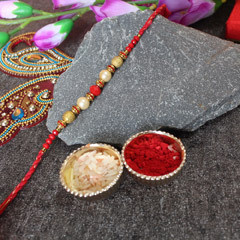 Handcrafted rakhis are handmade with utmost care and love and your brother is sure to appreciate your choice. 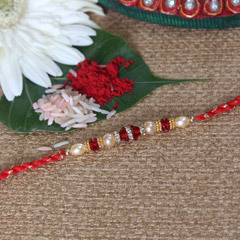 It is the best alternative to making a rakhi on your own. 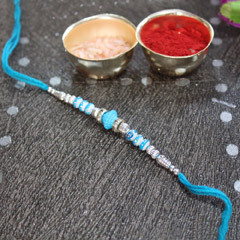 Make up for the busy schedule that you have by taking a little time out and choosing the handcrafted rakhi that would suit your brother’s wrists. 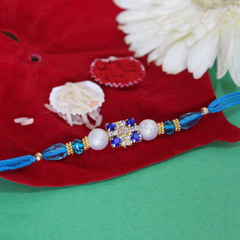 The handcrafted rakhis that you will see on our website are made with the finest material and the best artists. 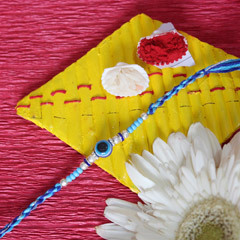 We make sure to provide many different designs so that you can make the best choice for this once-in-a-year celebration. 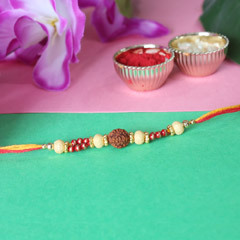 Make your brother’s year awesome by gifting him a handcrafted rakhi that he will hold dear to his heart. 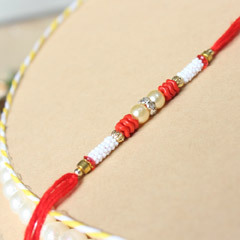 At Sendrakhi.com we let you enjoy many services and offers, among them, free shipping. 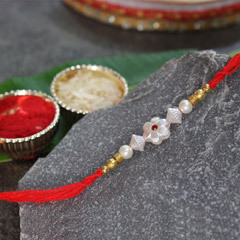 That does not mean we will delay delivery as it is our mission to help our customers celebrate Raksha Bandhan without hindrance. 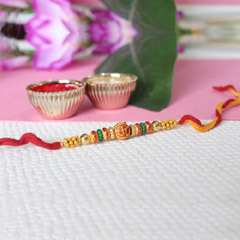 We provide fast delivery service to get your gift and handcrafted rakhi to your brother on time. Choose what you need and leave the rest to us.